Solenn Heusaff for Asian Secrets Lulur Body Scrub! 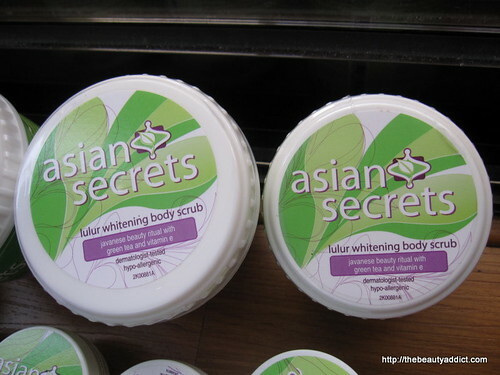 Solenn Heusaff is the new face of Asian Secrets Lulur Whitening Body Scrub! 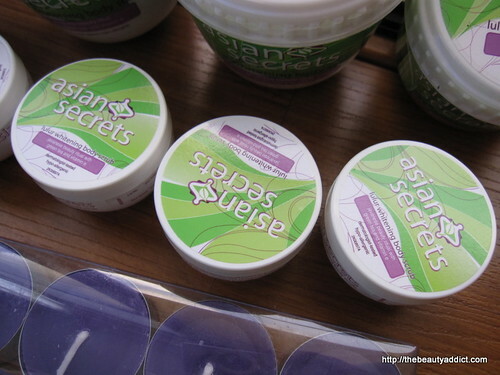 Asian Secrets introduced their new celebrity endorser Solenn Heusaff at SM Makati Beaute last Saturday. I didn't know she got injured recently but there she was working happily. Solenn was strikingly beautiful! When asked what her secret to beautiful skin, she said "soap". She uses it even for her hair. Unfortunately, no one was brave enough to ask what brand it is she uses. Hmmm thinking of asking her on her Twitter page hehe. 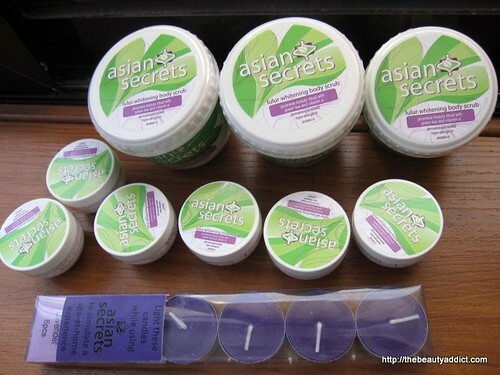 Anyways, it's no secret that I loved Asian Secrets Lulur. I first encountered it when Liz introduced it to bloggers with a spa treat. It has gentle scrubs and formulation that effectively whitens dark spots. I love the fresh and relaxing scent too. The good news is it's now available in different sizes! I'm so lucky to have these baby lulurs! So cute! It's perfect for travelling. Unfortunately, these are not available. SRP: P130 for 250gram tub and P80 for the 135gram tub. For those who want to try, Asian Secrets lulur body scrub is available in Watsons, Mercury Drug, SM Hypermart, SM Supermarket, Puregold, Shopwise, Robinsons, Unimart and all other supermarkets nationwide. 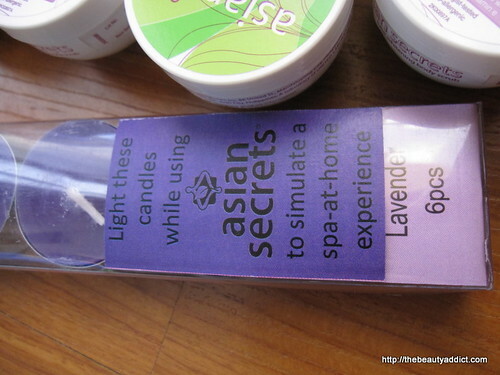 Have you tried Asian Secrets Lulur? What can you say about it? And if you're curious about the feedback of our fellow beauty addicts, read this thread at Girltalk. To watch their new TVC, like their Facebook Fanpage. Nope, I haven't tried it. But maybe I will.